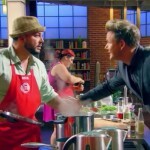 Screencapture from the September 16 finale of MasterChef Season 6. Episode available via Amazon Instant Video. It’s here at last: the grand finale of another season of MasterChef. Tonight it will be Claudia facing off against Derrick in the standard three-part battle of appetizer, entree and dessert, with the judges tasting each before deciding who wins the trophy, the cookbook deal, and the $250,000 in prize money. 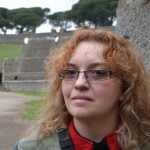 The episode begins with an overview of the season which weekly viewers are all familiar with. We see a little bit more about the two finalists, first Derrick: the struggling drummer from Florida who before has only cooked for his friends and his girlfriend, who have all told him he needs to do something more with his talent with food. Up against Derrick is Claudia, the single mom sharing a bed in a one-bedroom apartment in California with her daughter. Where Derrick has pushed the boundaries of fine dining and elevated plating, Claudia has stuck with her Mexican roots in almost all of her dishes this season. Is her “modern Mexican” enough to win against Derrick’s fine dining finesse? That seems to be the question. In the MasterChef kitchen tonight are the previously eliminated contestants from this season…and also, of course, family and friends there to support both Derrick and Claudia. Derrick has his girlfriend, mom and dad. His mom’s advice is to stay very focused. Claudia starts crying because she hasn’t seen her daughter in months…cue a short from the balcony of the other single mom contestant from this season, Shelly, also crying for her. Can we get any more sappy tonight? Claudia’s daughter, mom and step father come out to support her. The judges then explain the challenge in front of them: to cook the three-course meal of a lifetime. And they will only have 10 minutes in the pantry to get all of the ingredients they will need. Shelly says it’s five-star dining versus amazing melting pot, rustic food. She doesn’t know who is going to win it. Nick is voting for Claudia, while Stephen wants to “bury the hatchet” and support Derrick. Shopping done, the two return to their stations. First up is the appetizer and Graham asks what they will each be making. Derrick is doing spiced pork belly with watermelon three ways. Claudia is doing a huitlacoche tamale with pork chicharrón and cactus salsa with avocado crema. Neither is playing it safe, Graham says. They have 60 minutes to make those appetizers. Time starts. Derrick says he is setting the bar higher than anyone…in fact he’s crushing the bar. Claudia says it’s do or die and that Derrick doesn’t know what’s about to hit him. 30 minutes gone and Gordon checks in with Claudia. She says she’s here because Mexican food has been underrated for so long; she’s definitely going to elevate this meal. Derrick’s watermelon three ways includes a watermelon sauce, pickled watermelon rind, and infused watermelon. He’s using a lot of different techniques and the judges worry there’s a lot that could go wrong. Cladudia is tasting her tamales and crying, they re supposedly so good. Derrick takes his pork belly out of the pressure cooker and says it’s like butter. Stephen says what Derrick is doing is blowing his mind. Shelly says Claudia is putting out love on her plate. Derrick’s hand is shaking as he starts plating. 30 seconds left and the crowd is cheering on their favorites. Time for the judges to see and taste. Derrick is first with his spiced pork belly with watermelon three ways. Gordon says he loves it, it’s dangerous, refreshing, the flavors work and the melon lifts everything back up. He’d want more pickle but he loves it. Graham says it belongs on a menu for sure. It’s a front man dish, it’s rocking. Claudia is next with her huitlacoche tamale with cactus salsa, avocado cream and pork skin chicharrón. Gordon wants to know why, with a pantry full of the finest ingredients, why a tamale in the finale? She says she will never shy away from who she is, and a lot of Mexican cuisine is about the simplest of ingredients. And with that, the judges taste and Gordon says it’s incredible. 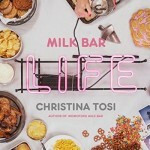 She’s turned street food into something unique. He would like a touch more acidity and a little more of the avocado crema. Graham says the squash blossoms and nopales are incredibly balanced. Time for the entree round. Meanwhile the judges say it’s the best start they’ve ever had to a finale to date. 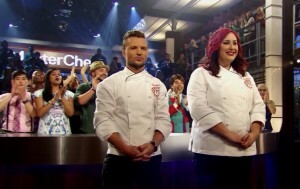 Derrick just inched out Claudia, Christina says, but Graham disagrees and favored Claudia’s use of ingredients. They now have 60 minutes to prepare their entrees. Derrick is making pan-seared venison with root vegetables, huckleberry sauce, and a puff pastry “cage”. Claudia is doing grilled swordfish with chayote squash and chick peas (from a can, I notice). Claudia is worried about working with the swordfish as it’s larger pieces than she’s used to cooking. The puff pastry cage is a play off of Gordon’s Wellington, he says, and he’s got a lot to do in one hour. He’s only made three of them so he’s got no room for error. 4 minutes to go and Derrick has his lattice out of the oven and they look good. Claudia has her swordfish searing on the grill. Time counts down and they finish their plates, and both really do look great in my opinion. Derrick is first for tasting. He’s a showman and this is a show on a plate: pan seared venison with roasted vegetables, huckleberry sauce and puff pastry cage. Gordon says it’s got sheer finesse. Nice crisp on the puff pastry, Graham loves that he gave as much care to the baby vegetables as to the venison. Christina loves the cage, that it’s seasoned well and an in control dish. A spoon less puree, but big deal. He nailed it. Can Claudia match this? She has her grilled swordfish over sauteed chayote over “fresh” chick peas (from a can? That’s not fresh, Claudia) with salsa verde and Mexican squash. Gordon is worried if the swordfish is overcooked to get as much caramelization as she did on the outside. Gordon cuts into it and it’s “beautiful” he says. It’s fragrant, floral, it has character, and he’s never tasted a salsa verde so vibrant. It’s the most accomplished dish she’s cooked in the kitchen so far. Christina’s favorite part of the dish is the squash with the lime vinaigrette. Now they have to get ready to wow the judges with their desserts. Meanwhile the judges ooh and ahh over the grill marks on Claudia’s swordfish (as if it’s not something any good home cook with a grill pan can do). Once again they have an hour to cook, now their desserts. Derrick is doing a lemon mousse with a dark chocolate shell, a lemon curd, macha sponge cake and a raspberry sauce. He’s using a modern technique for his sponge cake which he’s never done before, so that’s a huge risk. Claudia is making hibiscus poached pear with key lime flan. But Claudia gets water in her pan so she has to remake the custards. Derrick can’t get his cake mix out of the spray can but he’s determined to get it on the plate. After wrestling with the canister he finally gets it out. Five minutes and Claudia has to get her flans set. Derrick is getting his sauce done and Stephen thinks his dessert is full of technique, artistic, he’s sure he’s got this. Nick thinks the hibiscus-poached pear is a masterpiece. She’s signing her plates with her initials in the sauce. Time is called and the two chef hug that it’s over. Derrick is first for tasting. He’s got a lemon mousse in a dark chocolate shell with a green tea cake and a raspberry sauce. Christina says he should be so proud. The mousse is aerated and it’s gorgeous. Graham was nervous it would be too many flavors but it works. The green tea cake is creative and delicious. Gordon says technically he nailed it, but he wasted 15 minutes in the kitchen on the cake. Why couldn’t give up? Because of his mom, he said. Claudia is next with her hibiscus-poached pear, key lime flan and pepitas-cinnamon brittle. Graham says it’s “eye-opening” and 100 percent all about the pear. The texture is beautiful. Christina says she should sell the brittle by the bag full. The flan could have more lime, Gordon says but it’s a well done finish. So now the judges must decide who is the winner. Both were making mistakes. One continued while one stopped, and Gordon says that’s the difference between the two of them. Derrick has been a real visionary and tonight was no different. He served “art on a plate” he says. Graham argues that no one uses everyday ingredients better than Claudia. The judges say they have a winner, absolutely, and it seems unanimous. Who is it? After a commercial break and a little more drama, we find out that the winner is Claudia. Was I disappointed that Claudia won? Yes. Was I surprised? No, not at all. From a marketability standpoint Claudia clearly had the edge as the winner, the kind of contestant who is more likely to be able to sell cookbooks with her “everyday” ingredient approach to “modern Mexican” food. Plus the producers always love a sob story and a single mom in a one-bedroom apartment has a lot more heartstring appeal than a young drummer whose main struggle seems to be a distant relationship with his mother. And I won’t deny that Claudia put out some tasty-looking dishes and had a few I would like to get the recipes for. But based on that finale menu I would have been much more excited to eat Derrick’s food, and technically he was the more adventurous, talented and artistic chef. But his skills seem much more suited for fine restaurant dining or private supper clubs than home cooking. That’s why I have been quite sure he wouldn’t win for a long time now. Overall, how did I feel about this season? In comparison to the past few, it had its ups and downs. On the positive side I definitely think the cast of home cooks was more likable and pleasant to watch than the last few, particularly season 5 when it was hard to find anyone to truly cheer on. On the downside I never warmed up to Christina as a judge and I’m not looking forward to seeing more of her on MasterChef Junior or next season MasterChef. Maybe she’ll find her voice and her stride better by then, though. I also feel like the judging has become more arbitrary and transparent than ever before. Far too often it seemed as though the judges were playing favorites, eliminating contestants for mistakes that the next week they would excuse from someone else. Will I be watching next season, no matter what? Of course, as much as I may complain, I can’t help myself. Will I be buying Claudia’s cookbook? I think I’ll wait for some reviews first to decide. How about you? Want to share your thoughts on this season of MasterChef and learn more about the competitors? Then check out my MasterChef Season 6 fan page on Wizzley! MasterChef is back for its sixth season in 2015. Are you ready for another round in this competition of talented home chefs? 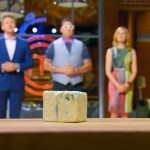 MasterChef US Season 6: Will New Judge Christina Tosi Save or Sink the Show?